Cascades is Southwest Florida s newest, gated, upscale adult community. Offering a 28,000 sq. ft. grand clubhouse, Cascades provides two card rooms, an arts and crafts room with kiln, media room with library and big-screen television, computer room, multi-purpose room with stage and dance floor, billiards, fitness center and aerobics room. Tennis courts, hot tub, sun deck, and a combination of indoor/outdoor swimming pools separated by a waterfall are available to residents and their guests. 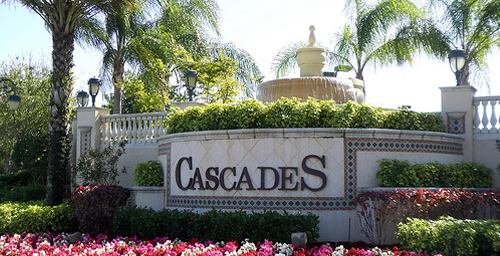 Cascades offers 9 single family floor plans ranging from 2,381-3,369 sq. ft.